It’s our aim to reduce plastic consumption this year with the hope that if the industry as a whole and consumers do the same thing plastic pots can be a thing of the past. 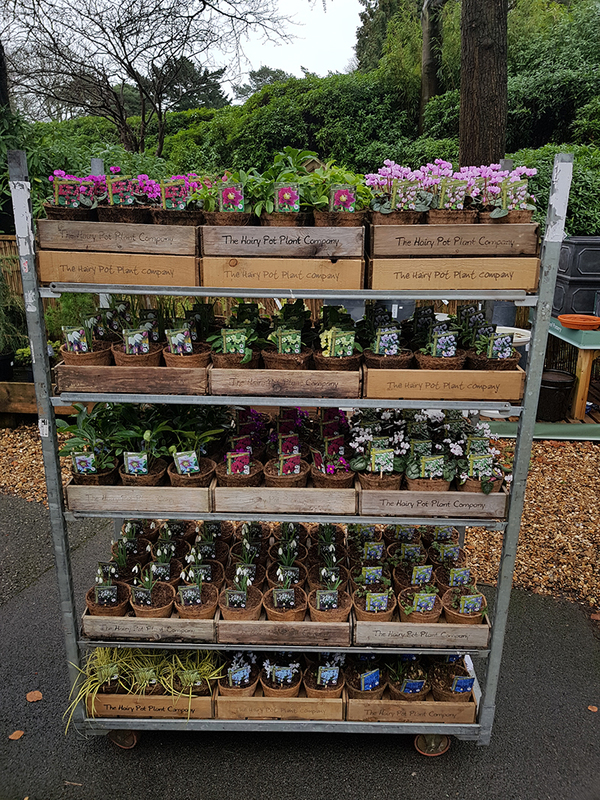 So with that in mind Feb sees the reintroduction of fresh plants here at the plant centre from The Hairy Pot Plant Company. 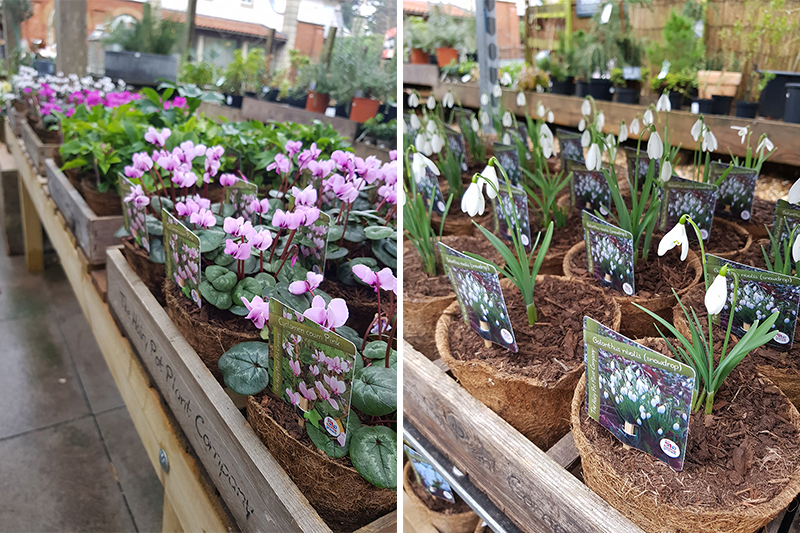 Currently we have a lovely selection of early flowering interest such as Snowdrops, Cyclamen, Hellebores and Primulas planted in rustic ‘hairy pots’ from just up the road in Hampshire. These are eco friendly and excellent value! 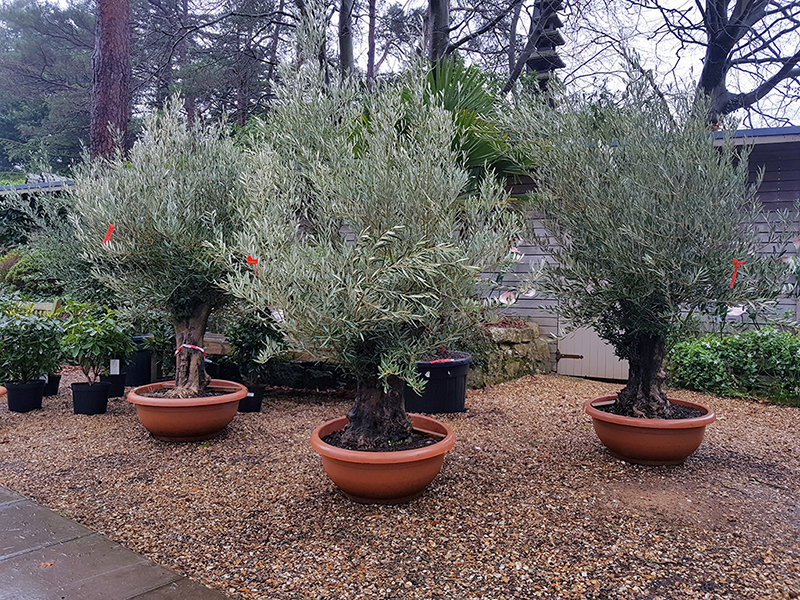 It’s never too early to order specimen plants as our Olives show. Specially picked for a customer from one of our local suppliers. If you have any garden projects in mind please come in and chat to us. We may be able to help your plans come to life! This month will see shrubs introduced here for sale with the focus again being on early flowering, scented and colourful specimens. Sarcococca, Hamamellis, Rhododendron to name a few. Potted bulbs are available with the ever popular ‘Snakes head’ Fritillaria, Narcissus and Muscari all a great option of providing some early flowering. We still have a small compliment of evergreens, conifers and perennials that have been overwintered. Many of these are reduced so come in and see what we have! Keep checking our facebook page for updates and our Plant Centre Instagram page for a photographic blog of our plants and advice.